How was your long weekend? I enjoyed mine very much with relaxing and going to the beach with family and friends. And for some weird reason, I'm all about pink today. I'm not always into pink, but I love all the lighter shades of pink. I enjoy the combination of pink with grey. To be totally honest I love grey with whatever color. It's the best neutral and basic color ever. This pink is actually one of the Pantone colors of 2016. To be exact: Rose Quartz. So, don't be afraid to add it to your space. You don't have to paint a whole wall. You can add it by adding some decor to the mix with the color. It's the easiest way to change it up later. How about you? 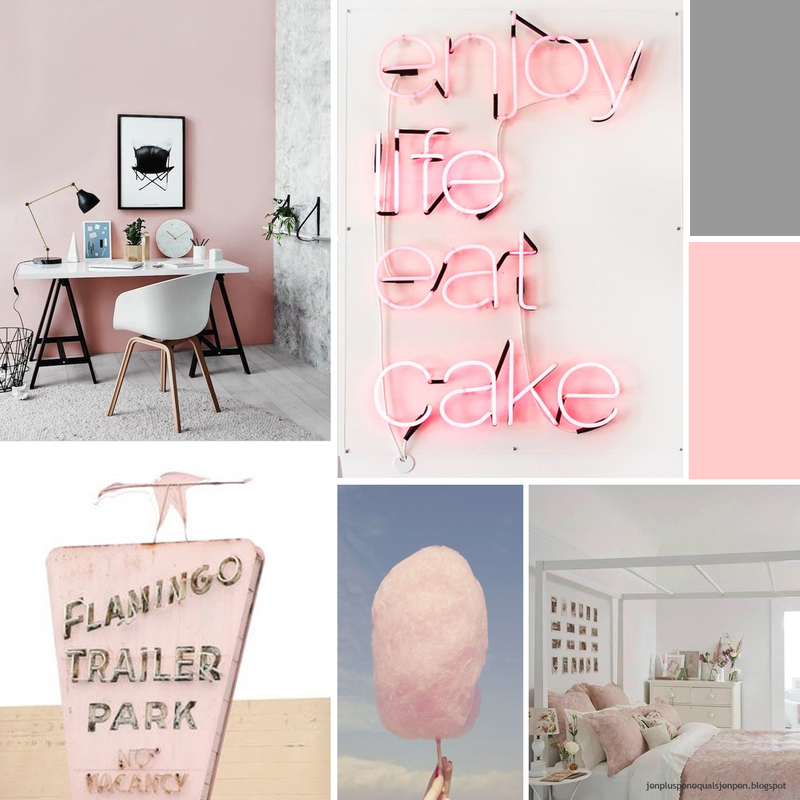 How do you like the shades of pink? I really like lighter shades of pink. I'm actually thinking of redecorating my bedroom and adding some pink cushions and accessories. I love the 'enjoy life eat cake' light, so cute! I think I actually need one of those in my house. I know right?! Any sign like that would be awesome.